It’s almost the end of April! I hope the sun is shining where you are and that warmer days and lighter nights are on the way! Do you remember April 2010? 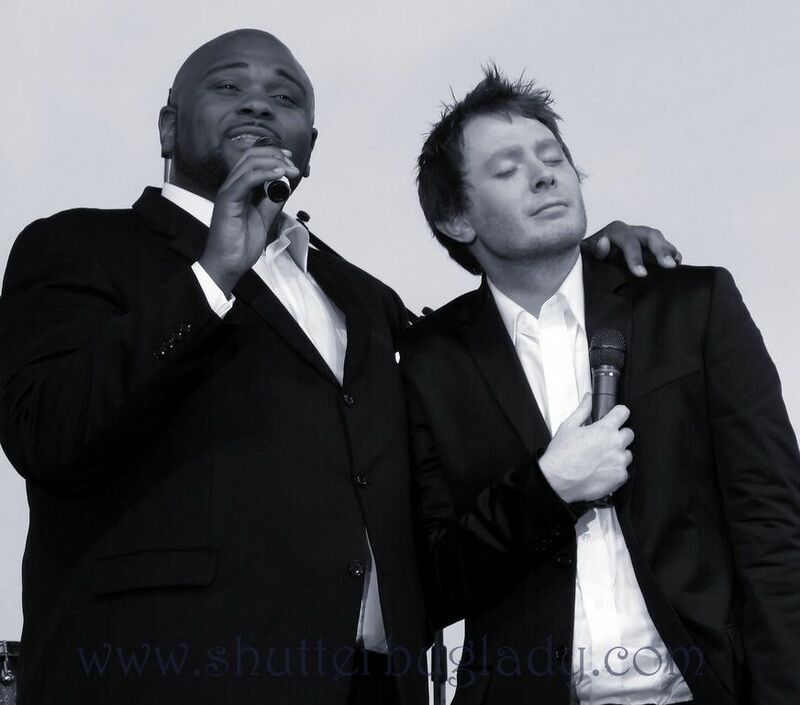 During the first week of April that year, Clay Aiken and Ruben Studdard announced that they would be touring together during the summer. The tour was named The Timeless Tour! I found the following review of the concert on my computer. Ben Wener of the Orange County Register wrote about the July 31st concert in Los Angeles. 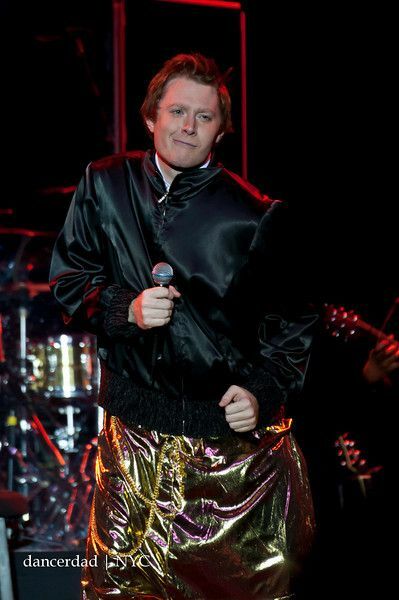 It isn’t as though the careers of Ruben Studdard and Clay Aiken have stalled, despite the modest turnout for the pair’s performance Sunday evening at Club Nokia in the downtown L.A. Live complex. 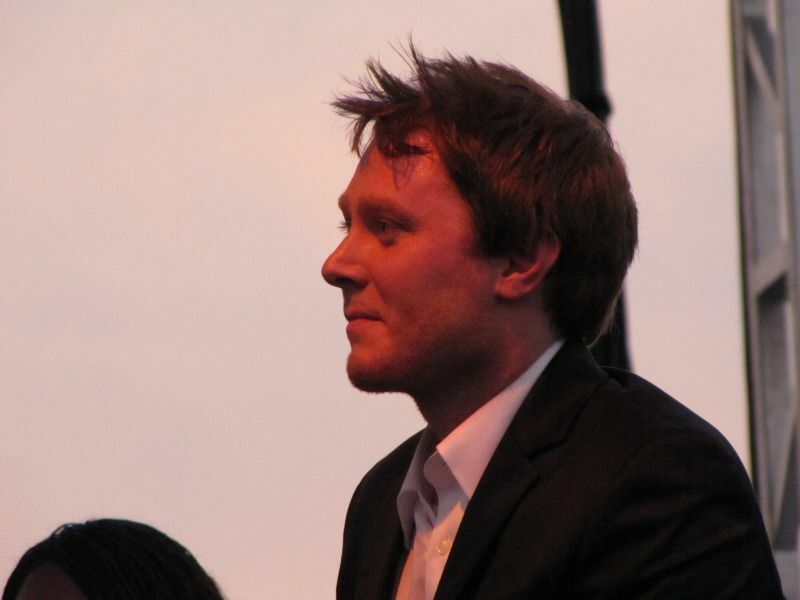 The winner and runner-up of American Idol’s second season (2003) have both maintained solid record sales and noteworthy philanthropy while simultaneously diversifying their portfolios. 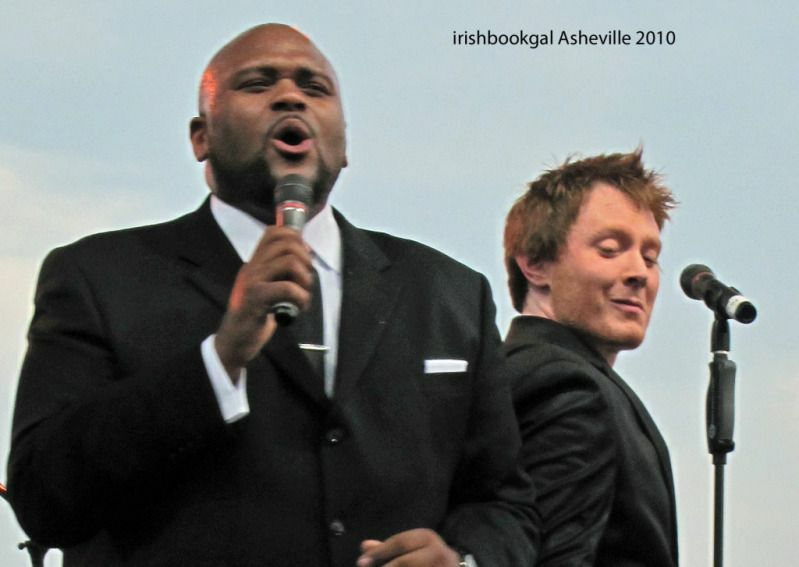 Studdard, for starters, earned positive notices for playing Fats Waller in a recent touring revival of the 1978 musical Ain’t Misbehavin’, while also garnering strong reviews (including a B+ from Entertainment Weekly) for his fourth album, last year’s Jam & Lewis-produced Love Is. After years of seeming stiff on stage and in front of cameras — a marvelous voice unmatched by a compelling personality — the Velvet Teddy Bear has developed into an easygoing charmer whose appeal still has untapped potential to expand beyond his core R&B demographic. 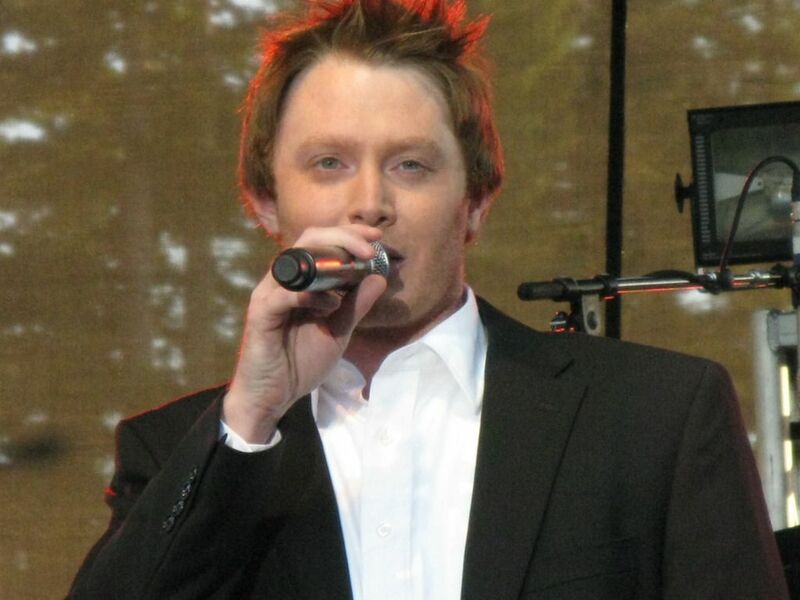 Aiken, meanwhile, has remained one of Idol’s most recognizable icons, arguably more famous for who he is than what he’s done. As well-received as was his Broadway turn as Sir Robin in Spamalot, and no matter what kudos he racks up for his records (including his new, Johnny Mathis-esque standards collection, for venerable Decca Records), he’s now just as widely known for coming out about his sexuality … and at roughly the same time as the self-unveiled revelation that he had fathered a son with Jaymes Foster, sister of songwriter and producer David Foster, who had helmed three of Aiken’s albums for RCA. 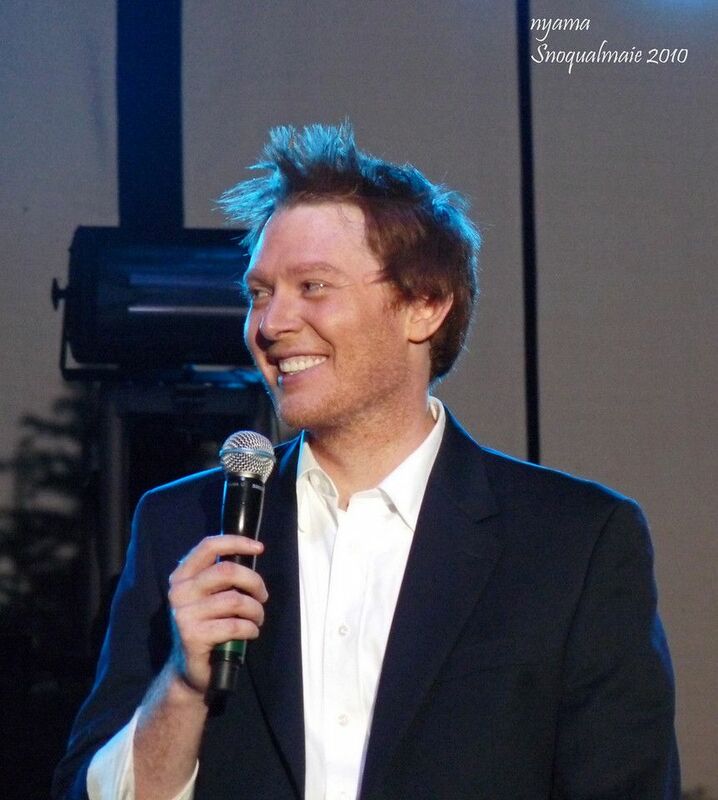 An only slightly old-fashioned Southern gentleman with natural comic timing, Aiken has further bolstered his reputation via memorably funny television appearances, especially as a frequent guest on Jimmy Kimmel Live! Methinks he envies the host: quick-witted but ever-sweet Aiken would be perfect for a revamp mash-up of The Mike Douglas Show and The Ellen DeGeneres Show. Unlike so many other Idol-related talents — not counting established superstars like Carrie Underwood, Chris Daughtry and Kelly Clarkson, the latter of whom was in attendance Sunday night — there’s no telling what Aiken and Studdard might do as the years trudge on; acting is probably more likely than career-jolting albums or tours at this point, though I can’t help but think what wonders it would do for Aiken were he to score an opening slot on, say, a Michael Bublé outing. All the same, next time these genial fellows suspect their careers might be approaching low ebbs, they might consider pitching their current Timeless Tour to Las Vegas bigwigs as a semi-permanent throwback production. Club Nokia might as well have been a showgirl-studded ballroom at the Stardust in the ’70s Sunday night. Spruce up this two-hour trip through time with some modern razzle-dazzle, inject the arrangements (not the gags) with a bit more personality, and the whole thing could kill with musty blue hairs and partying twentysomethings alike. That’s largely because The Ruben & Clay Show doesn’t focus on either performer’s material at all — it’s instead a nostalgic, hit-stuffed spree from the ’60s through the ’90s, complete with mega-medleys for each decade that ran longer than each singer’s solo spotlights. Frankly, it’s precisely the sort of memory-lane stroll, thick with satisfying covers, that would have packed arenas full of Idol lovers in the months immediately after Ruben bested Clay by a still-disputed 130,000 votes. 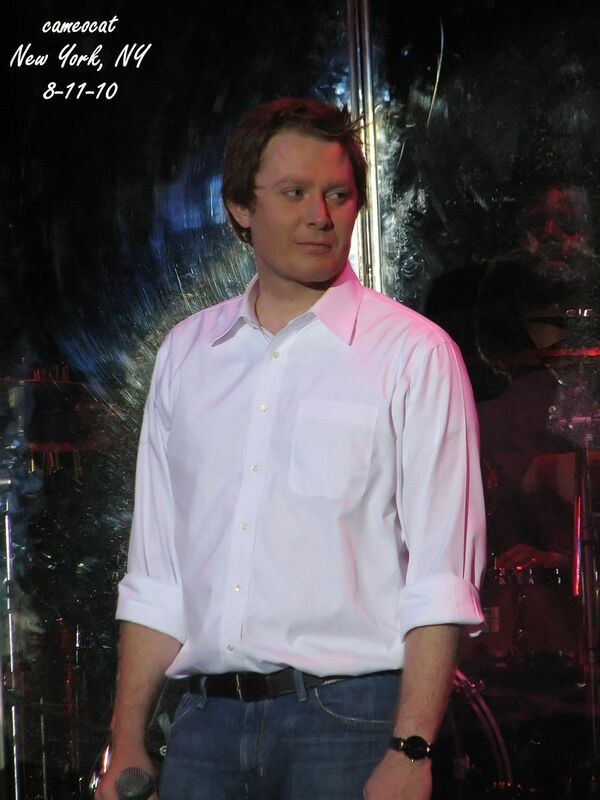 “This is something we’ve talked about doing for a long time,” Aiken said at the outset, just after the two men clowned around in the opening number, upstaging one another as the tune switched from one Idol-finale anthem (Studdard’s “Flying without Wings”) to another (Aiken’s “This Is the Night”), then riffing humorously on the apparent incongruence of a soul star who digs Al Green and the Temptations performing alongside someone who evokes the spirit of Andy Williams. “Ruben, it’s really a blessing to have you open for me,” Aiken then mentioned. “I don’t think that’s what’s happening here,” the big man replied. It was shticky asides like that exchange that kept people giggling between the covers. And make no mistake, after that introductory moment there wasn’t anything else in this set that wasn’t a redo. Yet, along with plenty of playful ribbing (too often accompanied by ba-dum-bum rimshots) and some goofy skits (one involving Studdard as a money-hungry televangelist, another that put Aiken in ridiculous MC Hammer pants), it was the mammoth run-on medleys (see the setlist below) that really set this feel-good bit of showbiz in the heart of Sin City. Trust me, I know how cheesy it all sounds, and I’m not suggesting this was a concert-going high. But as salutes to the past go, you can quickly find a whole lot worse. “Just like us,” Clay retorted. 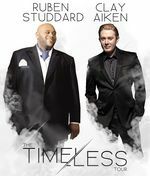 Did you see The Timeless Tour? If so, where did you see it? A wonderful Clay-Ruben memory! 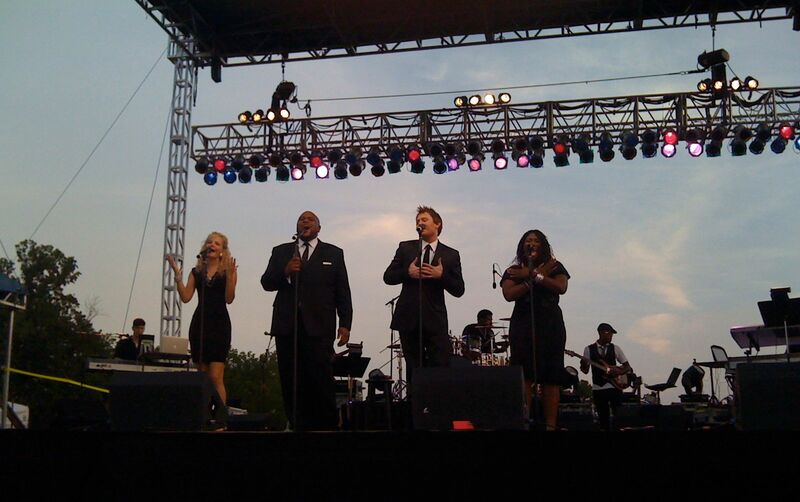 Thanks for posting the review and the glorious pictures of our American Idol favorites! I did not see the Timeless Tour. Only the videos from it. I think I would have to read that very long article a few more times to comment on it. Thanks for the photos. They are always welcome. ❤️ UNCONDITIONAL love for you Clay. Thanks for all you have done. Hoping to see Clay on stage in the future. Error: Error validating access token: Session has expired on Tuesday, 21-Aug-18 16:13:01 PDT. The current time is Sunday, 21-Apr-19 22:18:19 PDT.